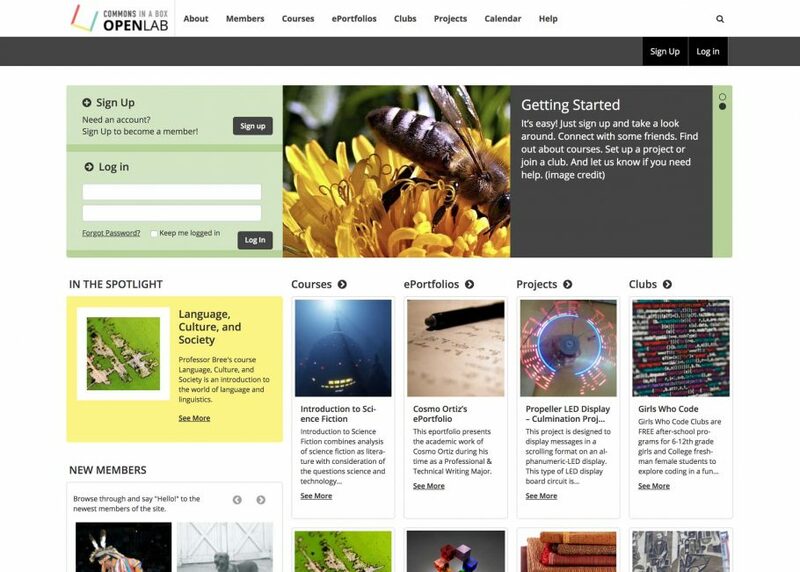 The Commons In A Box team is delighted to announce the public release of Commons In A Box OpenLab, a free open-source software platform for teaching, learning, and collaboration. Hi Troy – Sorry for the late response. Yes, we will continue to base our default theme on Infinity Theme Engine. We are also planning to do some upgrades to CBOX, thanks to a grant. We plan to make a new “flavor” of CBOX that focuses on teaching classes on the platform – but that is four months+ in the future. Hi Doug – I know a lot of members of this community like BuddyDrive (https://wordpress.org/plugins/buddydrive) – it is a nice file manager for groups. But I don’t think it has a way to embed PDFs – which I think is a bit more difficult. You might check out that plugin. But maybe other members might have suggestions. Hi Doug – The Group Announcements text box is made possible with the BP Group Announcements plugin that comes with CBOX. (https://commonsinabox.org/documentation/plugins/bp-group-announcements). Hi Tom – Under Users on your dashboard you can go to “Profile Fields” and add a new field called Biographical Info. You can make it a “multi-line text area” and decide if you want it to be optional or required. @cbox_admin or @r-a-y – can you guys take a look at this issue? Thanks. 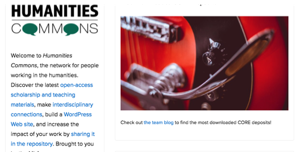 Can you check out Settings>>BuddyPress and see if all those options seem correct? Have you tried to refresh your permalinks – i.e. just go to that page and hit save (ensure you are not using default permalink structure). I am copying Christian @haystack to see if he has any other suggestions. Hi Lukas – Glad to hear that you are having good experiences with CBOX. I am not too familiar with the “Invite Anyone” – @haystack – would you know? Maybe I should put in a request for the plugin author to add a .class or id # so Lukas can hide. to see if it solves your problems. Thanks!